A never-before-seen view of the turbulent heart of our Milky Way galaxy is being unveiled by NASA on Nov. 10. This event will commemorate the 400 years since Galileo first turned his telescope to the heavens in 1609. In celebration of this International Year of Astronomy, NASA is releasing images of the galactic center region as seen by its Great Observatories to more than 150 planetariums, museums, nature centers, libraries, and schools across the country. The sites will unveil a giant, 6-foot-by-3-foot print of the bustling hub of our galaxy that combines a near-infrared view from the Hubble Space Telescope, an infrared view from the Spitzer Space Telescope, and an X-ray view from the Chandra X-ray Observatory into one multiwavelength picture. Experts from all three observatories carefully assembled the final image from large mosaic photo surveys taken by each telescope. This composite image provides one of the most detailed views ever of our galaxy's mysterious core. Participating institutions also will display a matched trio of Hubble, Spitzer, and Chandra images of the Milky Way's center on a second large panel measuring 3 feet by 4 feet. 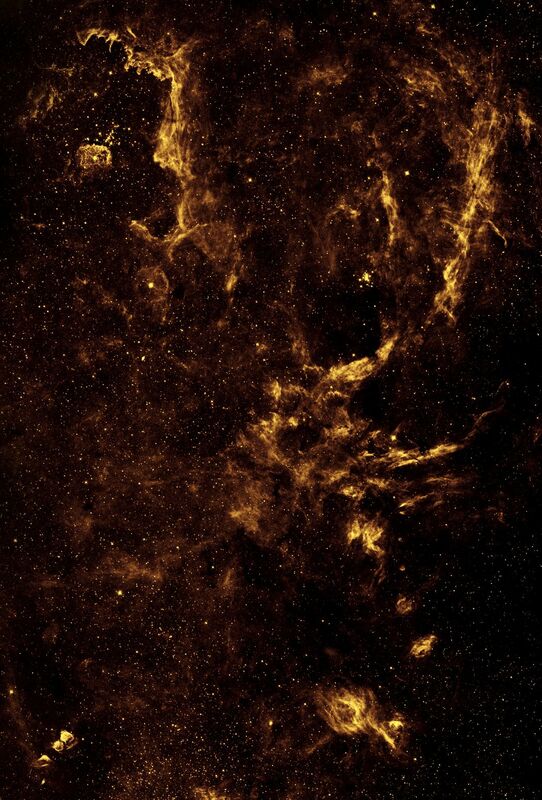 Each image shows the telescope's different wavelength view of the galactic center region, illustrating not only the unique science each observatory conducts, but also how far astronomy has come since Galileo. The composite image features the spectacle of stellar evolution: from vibrant regions of star birth, to young hot stars, to old cool stars, to seething remnants of stellar death called black holes. This activity occurs against a fiery backdrop in the crowded, hostile environment of the galaxy's core, the center of which is dominated by a supermassive black hole nearly four million times more massive than our Sun. Permeating the region is a diffuse blue haze of X-ray light from gas that has been heated to millions of degrees by outflows from the supermassive black hole as well as by winds from massive stars and by stellar explosions. Infrared light reveals more than a hundred thousand stars along with glowing dust clouds that create complex structures including compact globules, long filaments, and finger-like "pillars of creation," where newborn stars are just beginning to break out of their dark, dusty cocoons.